Wondering how long you can go without washing your hair? Here's the truth. For such a simple act, washing your hair sure can be confusing. Between figuring out how often to wash and keeping track of new product trends, shampooing can leave even the most seasoned beauty maven scratching her head. The shampoo struggle is real, and TODAY Style is here to help you get the best results possible. That's why we consulted a crew of experts to answer all of your basic questions, and help debunk the shampoo alternatives out there — like the “no poo” movement and co-washing. Consider your shower problems handled. How much hair product should you apply? There’s just something refreshing about that squeaky-clean, post-shampoo feeling, so it’s not surprising that many women wash their hair every day. But is a daily shampoo really necessary, and is it even a good idea? It depends on your personal preference and lifestyle, but experts tend to agree that shampooing every single day isn’t always best. “I recommend washing hair only when it really needs to be washed (not just because you are showering). The natural oils are so good for the hair and if the hair is washed too often, it can cause an imbalance,” said Kérastase celebrity hairstylist, Matt Fugate. Think of washing your hair like washing your face: It’s a necessary part of your beauty routine, but overdoing it can unintentionally upset your body’s natural balance of healthy oils that help moisturize. Shampooing too frequently can also cause actual damage to hair. “Washing your hair too often can make the hair dry and brittle and lead to irritation of the scalp,” said Dr. Joshua Zeichner, director of cosmetic and clinical research at Mount Sinai Hospital's department of dermatology. Women with sensitive scalps should take extra caution. “Exposure to detergents can cause irritation on your scalp," Romanowski said. "For some people, washing hair too often can lead to rashes and itching." “I recommend washing hair only when it really needs to be washed (not just because you are showering)." At the same time, you also want to make sure you’re washing your hair enough because skipping out on several washes can irritate your scalp. “If you don't wash your hair often, scalp oil tends to build up. This causes greasiness of the hair and can promote dandruff,” Zeichner said. The moral of the story? Everyone is different, and many women wash their hair daily without negative side effects. It’s really about knowing your hair and scalp, and finding a shampoo schedule that works best for you! Depending on your hair type — thick, thin, oily, dry, natural, curly, colored, etc. — your locks will have their own set of needs. “Finding the right balance of hair washing for your hair type takes some trial and error, but every head of hair has that perfect balance. Pay attention to your scalp and hair appearance for the signals because over or underwashing have telltale signs (dryness and oiliness),” Carolyn Aronson, CEO and founder of It’s a 10 Haircare, said. Ladies with fine, thin hair should also try to avoid shampoos containing certain ingredients. For starters, women with oily hair typically feel the need to wash their hair more often, but doing so can be counterproductive. “It can lead the scalp to think it needs to replace the oils and overproduce,” Aronson said. To nip this nasty cycle in the bud, seek out a sulfate-free shampoo that offers a deep cleansing without the drying effect. Dry, damaged hair also responds well to more infrequent shampooing, according to Romanowski, so you might want to try washing your locks every other day. Colored hair should also be washed less often — with a moisturizing, sulfate-free formula — if you want to get the most bang for your buck. 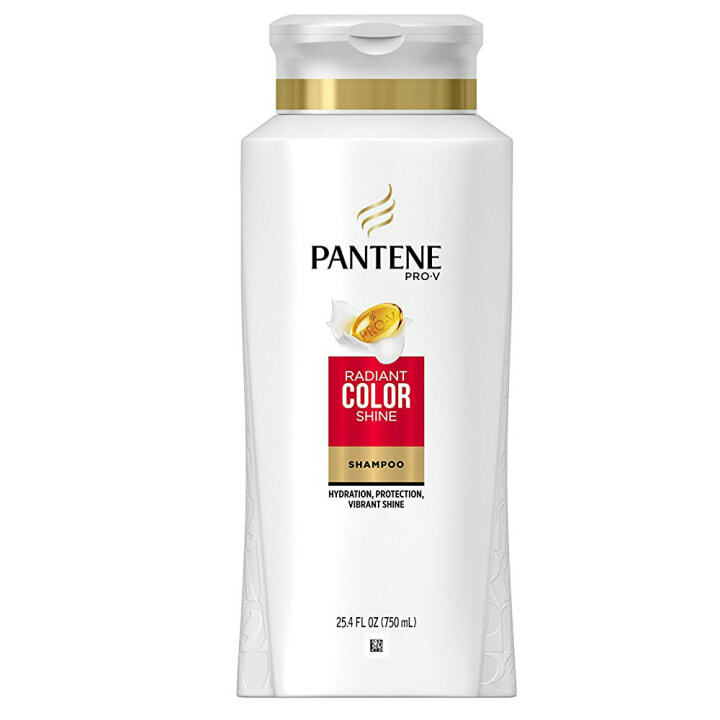 After all, color fades a bit with each shampoo, so you can extend the life of your dye job by only washing every other day or every three days. Some hair types require more frequent washing, like thinner locks. To avoid flat hair, women with thinner hair typically need to cleanse more often. Ladies with fine, thin hair should also try to avoid shampoos containing certain ingredients. “Dimethicone can build up and weigh your hair down. Cyclomethicone is a good choice for that type of hair because it evaporates over time,” Romanowski said. If you're lucky enough to have thick hair, though, you don't have to wash quite as often. "Thicker textures need the oils, so it can be washed less frequently,” Fugate said. Normal to coarse hair types should seek a shampoo with dimethicone, a great ingredient for taming curls and flyaway hairs, according to Romanowski. And normal hair types can typically withstand a daily wash.
How do I shampoo my hair for the best results? Gorgeous hair starts in the shower, so washing your hair correctly is a critical part of your hair care routine. It may sound simple, but there’s a method to getting the best shampoo possible, and it all starts with very wet hair and just a dollop of shampoo (about the size and volume of one raspberry). Remember: Less is more! 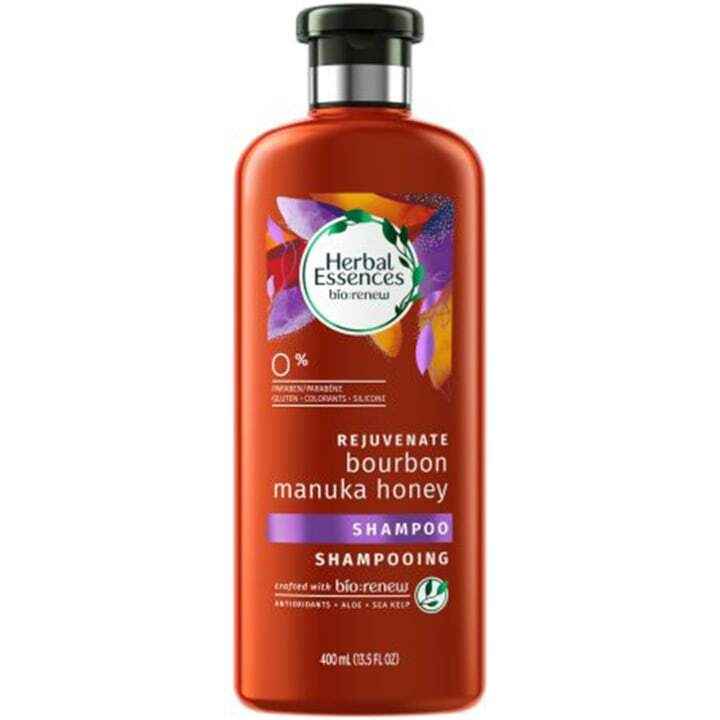 "Hair will not become 'used to' a shampoo such that it won't work any longer," Romanowski said. And don’t forget to rinse well. Any residue or product buildup you leave behind can cause scalp irritation. “A cool rinse after shampooing and conditioning makes a big difference. Cool rinses seal the cuticle closed so the color molecules don't rinse out and stay deposited in the hair,” Aronson said. In case you're wondering, there's no need to switch up your go-to shampoo every once in a while, either, because hair actually appreciates consistency. "Hair will not become 'used to' a shampoo such that it won't work any longer," Romanowski said. At the same time, moisturizing conditioners, in particular, can sometimes create a buildup of product, making your hair look flat. In that scenario, you may want to try a clarifying shampoo to remove the buildup and restore volume. And speaking of conditioners, you should always use one after shampooing! "If you don't use a conditioner, hair will be more difficult to comb and that could lead to more damage," Romanowski said. "A conditioner will also make your hair look and feel better. It is a way to prevent more damage." Keep in mind that conditioners are much more powerful than shampoos, in general, so it's worthwhile to pay more attention to a quality conditioner than a shampoo. "Any effect you'd see from a shampoo will be overwhelmed by the effect you'll get from the conditioner," Romanowski said. What the heck is the "no-poo" movement? You've likely heard about this term in passing, but what exactly is it and is it OK for your hair? "No-poo refers to no shampoo in the shower, or rather, washing the hair with just water or shampoo alternatives like apple cider vinegar and baking soda," Zeichner said. Depending on how extreme you want to go, you can no poo by washing with conditioner or other shampoo alternatives, like corn starch or baking soda. The no-poo movement hit its height a few years ago, but it's not a new concept. Like most beauty trends, the no-poo movement isn't for everyone. "No-poo alternatives also are great for today’s active people that work out. It should never replace cleansing, but it can extend your hair washing by a day or two, max." "For someone with healthy hair and low scalp-oil production, skipping shampoo is not really an issue. 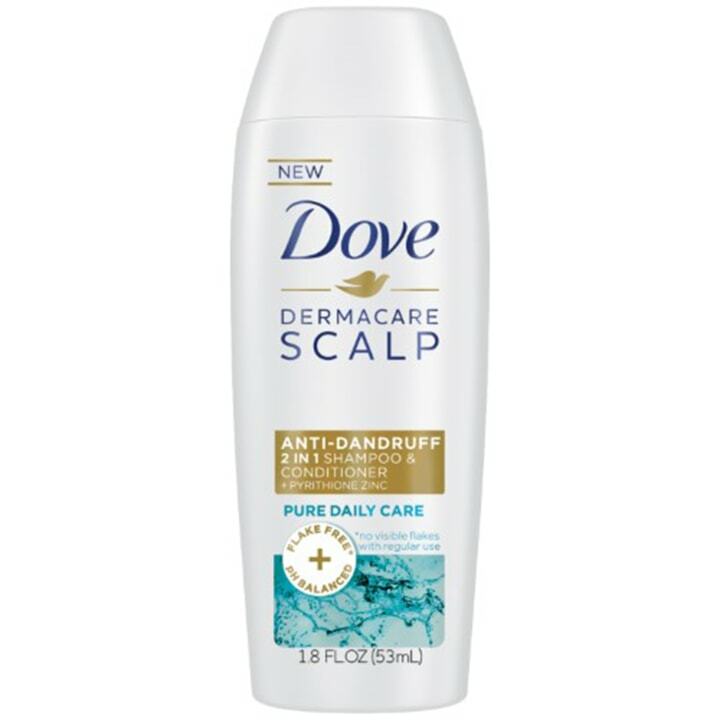 However, if you have an oily scalp, dandruff or psoriasis in the scalp, you may need to use shampoos to effectively remove oil and flakes," Zeichner said. Shampoo alternatives like baking soda are great at removing dirt and oil, and apple cider vinegar has antimicrobial properties, but Zeichner cautioned against using them too often. Baking soda is extremely alkaline and apple cider vinegar is very acidic, so both ingredients can cause irritation. "Mixing the two together may be able to provide a neutral pH product, but it still may actually be harsher on the scalp and the hair than traditionally formulated shampoos," he said. Going no poo can reduce the damage caused by frequent shampooing, but not by much, according to Romanowski: "This is because it is not the detergents that cause most of the damage, but the water exposure. The more often you get your hair wet, the more damage you'll experience." Eliminating shampoo from your beauty routine can also mean you're missing out on other benefits as well. "What you are not getting is a lot of scientific advantages: SPF, color locks, amino acids and protective polymers, amongst others, that make the hair stronger and more radiant," Fugate said. At the same time, going no poo occasionally can work for some women based on their lifestyle. "I think it’s a great option for people that have dry or chemically treated hair and need to keep as much moisture in it as possible," Aronson said. "No-poo alternatives also are great for today’s active people that work out. It should never replace cleansing, but it can extend your hair washing by a day or two, max." What about co-washing and the reverse shampoo method? If you’re not into no-poo shampoo alternatives like baking soda, there’s always the co-washing method, which curly-haired gals and natural hair experts have long sworn by. With co-washing, you’re basically foregoing shampoo and washing with conditioner instead, and the moisturizing method lets you reap all the nourishing benefits of a conditioner without the harsh effects of some shampoos that strip hair of its natural oils. Naturally, many women will miss that squeaky-clean feeling that comes with shampooing, so co-washing isn’t for everyone. It can, however, save you time in the shower. ”Co-washing is great for those that are in a rush,” Fugate said. And you can always co-wash occasionally to give your hair a temporary break, especially during the winter months when hair is in its most delicate state. “The less we strip the hair of moisture the better,” Aronson said. There’s also the reverse shampoo method, which entails conditioning hair first and then shampooing. Fugate said this method can work wonders for those who need a little more volume. If you simply can’t commit to a shampoo alternative but still want to nourish your hair or extend the life of a shampoo job, there’s always dry shampoo. “Dry shampoos are amazing alternatives to washing. They decrease oils and add a fresh scent to the hair. Spray them in, then use with a blow dryer to re-fluff your style,” Aronson said. If you work out often and wash daily, you can still keep your hair healthy. “I recommend using a very lightweight leave-in conditioner that they shampoo with if they are daily post-workout washers,” Fugate said. Looking for your next shampoo obsession? Try one of these expert-approved options! 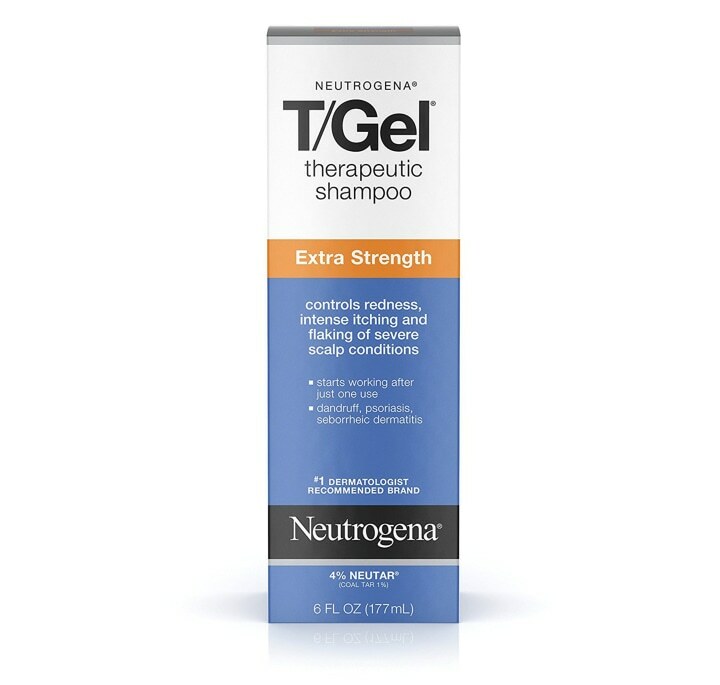 Treat your colored hair to some TLC with a targeted shampoo from the brand Romanowski said always scores well. Keep your scalp healthy and happy with a targeted two-in-one shampoo/conditioner that reduces dandruff-causing yeast levels on the scalp. Zeichner loves this one from Dove that contains zinc pyrithione. Coal tar in this intensive shampoo that Zeichner recommends helps reduce inflammation, itching and flaking, and is safe for daily use. This paraben-free formula is infused with bourbon manuka honey, aloe and other essential antioxidants that help keep color safe and restore moisture and shine.